Romani Travellers: Are We Ready to Care? 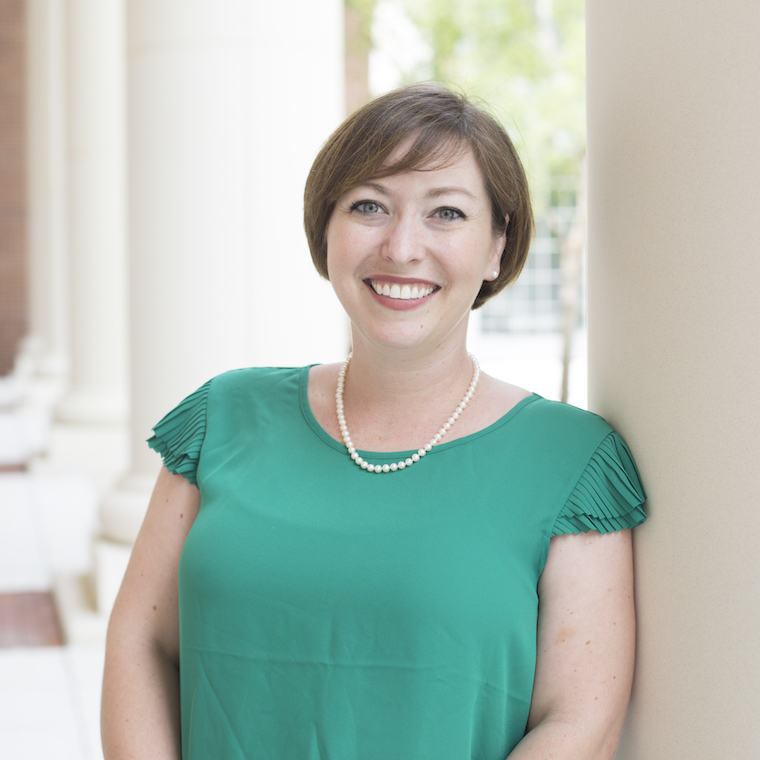 Over the past ten years or so, The Learning Channel has been making marketing moves forward. Instead of promoting shows that have substance, they’ve bought into the rise of reality TV and moved toward more sensational television programming, right? 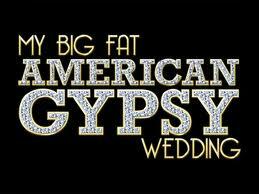 One of the shows that is the most popular is “My Big Fat American Gypsy Wedding,” which presents Romani families living in the U.S. This show, and truly, all of the shows airing on TLC (a re-brand from The Learning Channel), has developed an almost cult-like following of fans. Is this support unfounded? Should everyone just point and laugh at these seeming caricatures of American life? What follows is a reflection on the reality TV show that has aired on TLC in the past year, and by extension, the last decade. I will visit newspaper articles, forum responses, and TLC captions to present a fuller view of the perceptions of the show. Personally, I watch this show for entertainment. I sink into the microcosms of the Romani lives and am simultaneously disgusted, warm-hearted, and intrigued. What more could TLC want? And does this personal interpretation fit in with the perception of our new “American Sideshow”? 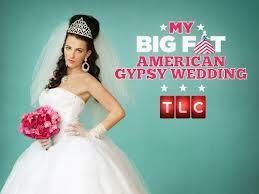 “My Big Fat American Gypsy Wedding” first aired on TLC May 2012. The show follows multiple Romani girls, and boys, throughout its season and concentrates on getting the girls down the aisle in the most extravagant dress possible. One fan’s comment on Facebook says it all, “TLC, we do NOT dress this way. What you are doing is wrong. You are perpetuating old negative stereotypes, while simultaneously modifying our culture to create even MORE negative stereotypes” (“Gypsy Fashion and Beauty: Facebook Comment 1”). This Facebook comment is posted under “Gypsy Fashion and Beauty,” a photo gallery of twenty-nine photos of American Gypsy women and their related party and wedding regalia. Under one such photo, the caption reads, “The blinged-out bodice says it all. Barbie is the beauty ideal” (DCL). This photo displays a young woman wearing a pink dress that reads “Barbie” in rhinestone-encrusted script across the bodice (Image 24 of 29). The first of the gallery is a picture of one of the Gypsy girls pouring Champagne into a waiting flute, seemingly on her way to walk down the aisle. The photo also captures her bra strap hanging out of her bodice. Cultural norms in the Gypsy community? Here’s the thing. I like “My Big Fat American Gypsy Wedding” and “My Big Fat Gypsy Wedding”2 because I can sit and gawk at the young women and men and be astounded that there are certain offshoots of our own culture(s) that welcome this behavior. Through all of the episodes there are certain themes and scenes that carry through. For instance, in every episode, there is the meeting of the bride, her groom and the bridal party. Romani grooms, or how TLC presents their show(s), are not involved in the big day and they can choose what color they want to wear. If they are amenable, they’ll change to match their future bride. It seems that most times they do appease their bride if only because they are bemused by her investment in the big day (sound familiar?). The young brides (usually 16-19) spend their time finding a venue that will be willing to host a Romani wedding, going to one of the only dressmakers willing to make a dress for the Romani people, partying in the nights leading up to the big day (though women can’t drink heavily), fighting with friends/family/family-in-law, and actually walking down the aisle. Gypsies are Originally from Egypt (Jessika Toothman). 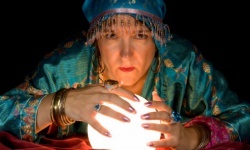 One commentator, a Roma herself, quipped through a Facebook comment, “Urban Legend 6: TLC is telling the truth about Romani” (“5 Urban Legends About Gypsies”). Most of the press “My Big Fat American Gypsy Wedding” receives is negative. Even the captions TLC’s own place under pictures, while trying to be positive, reeks of cynicism and money earned off of the ridiculous nature of the Romani’s they’ve chosen to highlight. What that saying, ‘no press is bad press’? What interests me is the way in which TLC presents the Romani of the United States. The Romani are presented as fiercely loyal to their families and fun loving. The girls dress to show off their assets while still appearing demure to the men, in that they say, ‘we have fun but there’s no grinding. Romani girls don’t do that,’ and the men get lessons from a young age about their place over the women in their fringe society. Though there have been no studies done to see the impact “My Big Fat American Greek Wedding” and other shows have on the psyche of their viewers, I would be interested to see how young boys and girls, outside of the Romani’s (this specific group of them who are shown to a viewing audience, anyway) view the interactions between men and women. Women are expected to not drink, clean the house, cook the food and abide unfailingly to their husband. As a woman and a feminist, this ‘understanding’ goes against what I believe in. But then, what do I matter? I still tune in to watch the show and, admittedly, get wrapped up in the dress or the fight between families, and not the overtones of the larger problems. In the end, do we actually care about the Romani travellers and their culture, or are we just watching to see a train wreck? From the many forum commenters, I found that TLC isn’t even trying to represent a true view of what the Romani’s are like anyway, so even if we did care about their culture, we would be getting incorrect information. Thanks for the education, TLC. 1 Thanks go to Abigail G. for her advice. 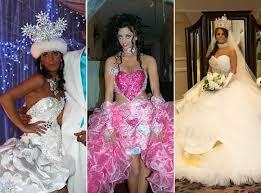 2 Originally aired in the UK, “My Big Fat Gypsy Wedding” ’s rights were sold to the US’s TLC for airing in 2011. As a result TLC produced their own “American” Gypsy wedding show.